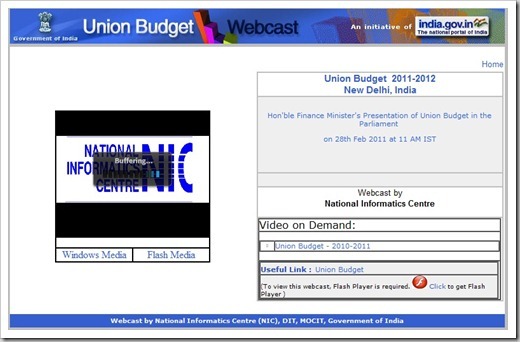 Watch Union Budget 2011 live Webcast! Click on this link to see Budget telecast live. You can also view previous years budget speeches here. Also, we will be posting our budget analysis and highlights through-out the day. You can follow us on twitter.com/trakin for quick updates on budget.